MONTGOMERY – Discovering new ideas, visiting longtime friends and hearing the latest in agricultural industry updates were features of the Alabama Farmers Federation’s Commodity Organization Meeting in Montgomery Feb. 5-7. During the annual conference, over 600 farmers learned about technological advancements and research to enhance their operations during commodity breakout sessions. It’s a sentiment Macon County Farmers Federation President Shep Morris echoed. “I come to this meeting to catch up on trends, hear industry updates and learn ways we can pull together to enhance our business,” he said. Commodity committee members and leaders were also elected during the meeting, and outgoing committee members who served the maximum three full terms were honored each day. Morris, an outgoing State Wheat & Feed Grain Committee member, highlighted the importance of serving on the state level. Divisions represented at this meeting included Bee & Honey; Beef; Cotton; Dairy; Equine; Forestry; Hay & Forage; Greenhouse, Nursery & Sod; Meat Goat & Sheep; Pork; Poultry; Soybean; Wheat & Feed Grain; and Wildlife. Additionally, the Horticulture Division held its final meeting Feb. 6. 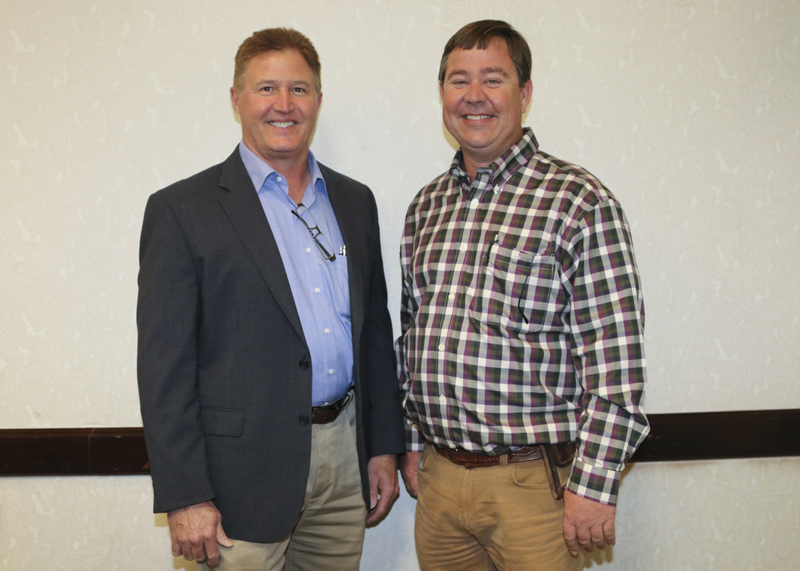 During the Federation’s annual meeting in December, delegates voted to merge the Horticulture Division with the Alabama Fruit & Vegetable Growers Association, a partner organization of the Federation. The Alabama Peanut Producers Association also held its annual meeting and tradeshow Feb. 7 in Dothan, while the Alabama TREASURE Forest Association board of directors met Feb. 5 in Montgomery. The Alabama Catfish Producers met in December for its organizational session. Agriculture & Industries Commissioner Rick Pate joined farmers for lunch all three days, outlining his goals for the next four years and thanking the Federation for its support. For a list of newly elected commodity committee members, click here.